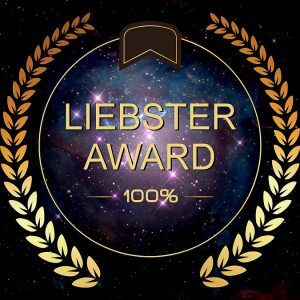 While I have been in a flurry of activity, including re-organizing and preparing new content to re-launch this blog, I received a wonderful message: my blog has been nominated for the Liebster Award! That’s great! Only, I didn’t know what the Liebster Award was. (Insert terrible embarrassed face here!) Newbie blogger me, I had no clue. I did my research and discovered that it is an online award bestowed from one blogger to another, and it is specifically designed to help the blogs with a new or small readership to get some love. I have been nominated, and now I must pass my nomination on to others! My two favorite blogs that I read are Wanda Belin’s blog and The Petalogist’s blog. I love Wanda’s because her posts always have a way of speaking to and encouraging me in the areas I really need at that moment. LudiB’s Petalogist blog follows the work of her pieces of original art made from flower petals as well as many of the flower festivals and botanical gardens she visits. It’s such a joyful work that she does, and it is wonderful to read about. Thanks so much for the shoutout, Stephanie. You chose a great list of blogs! My pleasure. Thank you again for the nomination! Thank you! This is a lovely concept. I shall get on it asap.